Baumer hhs sets standards in user-friendliness with the innovative Xtend3 controller for its modular glue application and quality assurance systems. “Since market introduction, a lot of our customers all over the word have upgraded to our latest-generation controllers. From their standpoint, the Xtend3 controller’s innovative operating concept has one main advantage: They can set up their glue application systems, including the associated quality assurance functions, faster, more easily and more reliably than ever before, while enjoying maximum flexibility at the same time,” says Andreas Schneiders, Technical Sales Manager – Corrugated at Baumer hhs. The intuitive operation of Xtend3 via a 21.5” HD multi-touch display has been simplified to where it now resembles the use of a tablet or smartphone. To access the individual functions or switch between different views, machine operators need only swipe the screen or select one of the symbols shown. The intelligent software can be set up to offer operators only those options which make sense in a given situation. Machine operators also welcome the support they receive from the expanded information management features of the Xtend3. 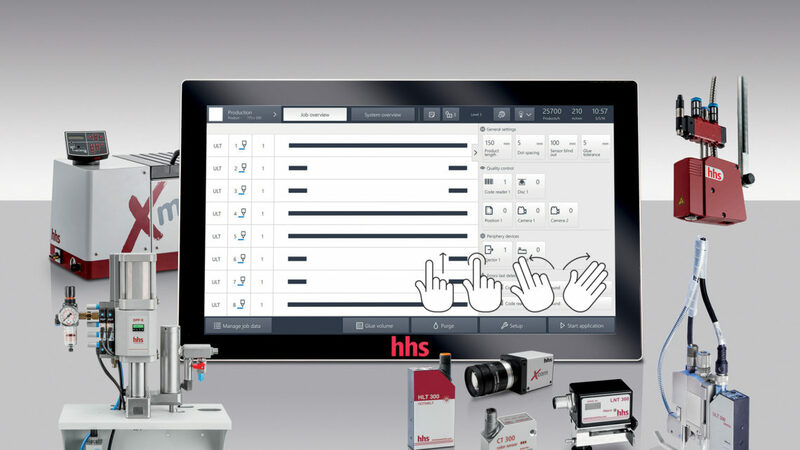 For instance, short help videos with easy-to-follow animations explain how to set up the application heads and sensors, effectively shortening setup times even more. The videos additionally help to quickly resolve any system disturbances. Both of these advantages increase machine availability and therefore production efficiency. In Xtend3, machine operators can individually configure each station for glue application and quality control, and assign each of the application heads and sensors to the various stations. This makes working with the innovative equipment from Baumer hhs transparent, and that means simple. Xtend3 significantly enhances overall ease of use for machine operators in many respects, which is one reason behind the market success of the new controllers.